Question: Why are the trusses 24” OC? How would it affect the building other than increasing the build cost to put the trusses @16” OC? Answer: 16" o.c. may be recommended for areas with a heavy snow load, otherwise 24" o.c. is sufficient. Question: Another question, what is the wall stud spacing and what is the truss spacing? Were the plans drawn in plain Autocad or Autodesk Architect and what version? 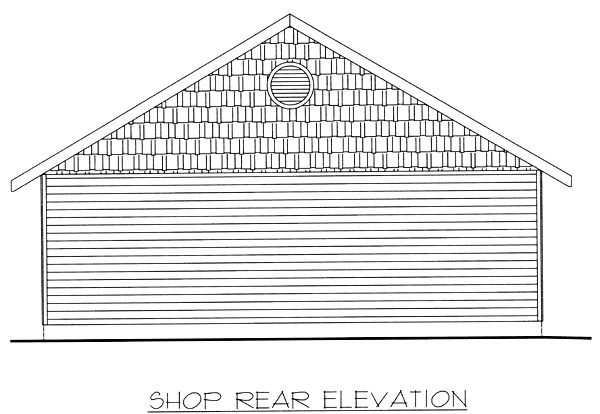 Answer: Stud spacing is @ 16" O.C., truss spacing is @ 24" O.C., plans were drawn in AutoCAD Architecture 2010. Question: Would any modifications be necessary to put a brick front and a 2' high brick skirt around the rest of the building? Answer: No, this can be done in the field. 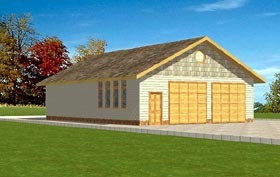 Question: Can you give me an estimated material cost complete finished including foundation?